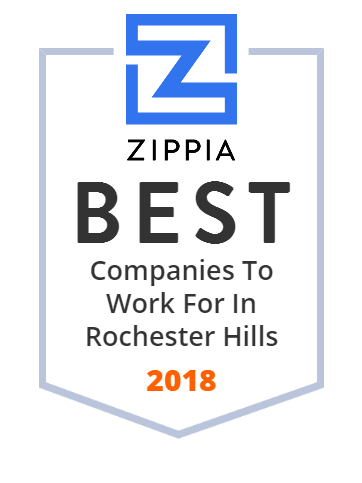 We hand-curated a list of the best companies to work for headquartered in and around Rochester Hills, MI using data on salaries, company financial health, and employee diversity. Trico is an American company that specializes in windshield wipers. Discover next generation injection plastic molding, welding and assembly for rapid prototyping and low-volume production runs. Visit our website. CIE Newcor designs and manufactures a variety of products, principally for the automotive, heavy-duty truck, and industrial markets. Since ‘67 Quasar (Woman Owned) has built more knowledge, expertise & experience in producing precision quality prototype & limited production parts than anyone. In Jesus, we are becoming one...reaching many! As the Lord has His way among us through His Word, He increasingly brings us together to become truly one. Nanny services for your family! Full-time, live-in, professional nannies for excellent child care! Hi-Lex America, Inc. manufactures automotive and recreational vehicle products. It offers various automotive products, such as sun roof, key interlock, clutch, accelerator, hood release, cruise control, shift lock, and transmission shift cables; and quarter vent actuators, trunk release cables, power lift gate systems, wheelchair fastening devices, fuel filler cables, power sliding doors, parking braking cables, manual window regulators, power window regulators, and sealed door modules. The company also provides seat, door, clutch, throttle, choke, transmission shift, steering, reverse, retention, and medical bed latch release cables for power sports, marine, commercial, and medical markets; and cables and related systems for recreational equipment, including all-terrain vehicles, marine applications, snowmobiles, motorcycles, and golf carts. In addition, it provides CAD, prototype lab, prototype build, testing, and video conferencing services. The company was founded in 1946 and is headquartered in Rochester Hills, Michigan. Hi-Lex America, Inc. operates plants in Battle Creek and Litchfield, Michigan; Cusseta, Alabama; and Queretaro, Mexico. Rochester College is a four-year, liberal arts college located in Rochester Hills, Michigan; a northern suburb of Detroit. The college was founded by members of Churches of Christ in 1959. Total enrollment for the fall 2011 semester is 1,084 students. Empire innovative manufacturer of custom cable assemblies and distributor of connectivity, automation, control, wire, cable, robot and safety products.